With advanced UV protection, 6” Farmlite is a longer lasting GRP sheet for use in the roofing and cladding of farm outbuildings. Full installation details are available on request from the Technical Department. 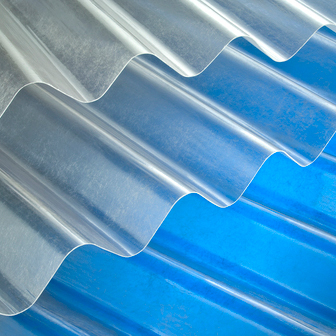 Ensure correct accessories are chosen to match PVC sheet profile. Light transmission for Farmlite is between 80 - 85%. Farmlite GRP is manufactured to EN 1013 under ISO 9001 Quality Management System. Full maintenance, handling and site storage details are available on request.